I have no idea who took this picture. Here is the original link to it. But it is a welcome reminder of the awesome nature and beauty of ospreys in the Hamptons, which we too often take for granted. For the uninitiated, the osprey (Pandion haliaetus), sometimes known as the sea hawk or fish eagle, is a diurnal, fish-eating bird of prey. It is a large raptor, reaching more than 60 cm (24 in) in length and 180 cm (71 in) across the wings. It is brown on the upperparts and predominantly greyish on the head and underparts, with a black eye patch and wings. Looking up on your next drive through the East End and there’s a chance you’ll spy the nest of one of our local osprey, but as much as we love them they are not exclusive to our area. Osprey tolerate a wide variety of habitats, nesting in any location near a body of water providing an adequate food supply, and is found on all continents except Antarctica. 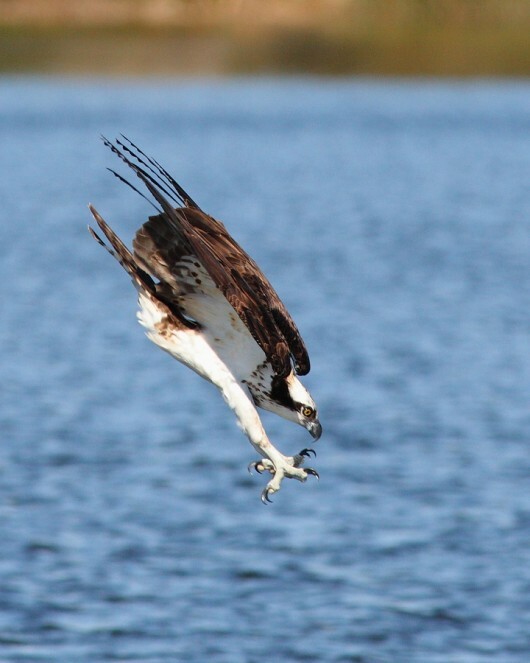 Its diet consists almost exclusively of fish (we do love our seafood in the Hamptons), and has evolved specialized physical characteristics and and behavior to assist in hunting and catching prey—and taking incredible photos! Is Cookie Monster Doing Irish Rugby Color Commentary?